Just about every day we hear from our authors' readers! If you would like to have your comments noted, just let us know and we will post it to this site - anonymously, of course! "...these books helped mold my life..." "...I want my daughters and nieces to read and enjoy the same books I read in my youth..." "...these characters' problems really are timeless... the stories helped me so much throughout my youth and even adult life..." "...thank you for bringing back the works of some of my favorite authors!" "I purchased the Sue Barton series of books last week...I received them today...My mother and I have been searching for a set of these books for over 30 years, and, obviously, have been unsuccessful...I want to say how grateful and thankful I am that you have re-published them. It has been absolutely wonderful to delve into them again, and relive many happy moments from my adolescence. Thank you again!" "I loved Sue Barton, Carol Page, Tobey Heydon, etc. as I was growing up, and have read those books over and over again. ...I have scoured book sales and library sales trying to get my own copies, so it was wonderful to find your company and have all these great books available again. ...I have six daughters (and two sons), and my girls love the fun stories, as well as the interesting historical and cultural perspective they provide ...wonderful to have clean, fun, appropriate books where the girls have good values and live by them, as that is the kind of lifestyle we want our daughters to enjoy as well." "Love love love your books!! Thank you so much for making these available again." "I loved Sue Barton when I was young, and so did my friend, Carolyn. In fact, these books helped her decide to become a nurse. She's been a very good one for many years. Now I'm purchasing these as a gift at her retirement party!" "...these books deserve to be called classics..." "...I read the Beany Malone books again & again throughout my childhood... I still read them and enjoy them as an adult!" "...I learned so much about history and other countries from Sally Watson...it was because of her stories that I yearned to travel, and did!" "...these characters have typical teen problems that you would find in any era..."
"...I learned so much about military life from Janet Lambert, and I didn't even realize I was learning at the time!" 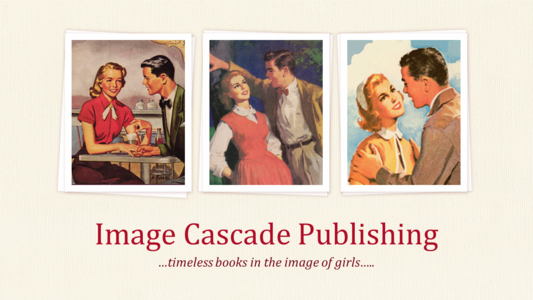 "...to me, Rosamond du Jardin completely captured the essence of the 1940s and 1950s..." "Lenora Mattingly Weber taught life lessons without being 'preachy' or patronizing..." "LMW's characters, particularly Beany, Mary Fred, and Johnny, were like real friends to me..."
"...thank goodness the books of my childhood are available again to a new generation... I aspired to be as independent and adventurous as Sally Watson's Jade..."